They say money doesn’t grow on trees, but revellers assemble, because apparently you can now waste yours on trees full of sugary cocktails. That’s right. 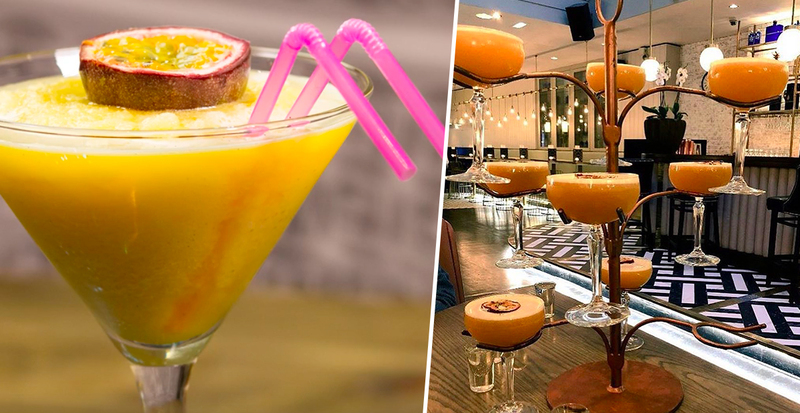 The Living Room in Manchester is now selling whole trees full of Pornstar Martini cocktails and they’re quite the spectacle. The novelty presentation of a pretty average cocktail seems to have charmed the Internet Jury, raking in 20,000 love emojis via Facebook and over 5,000 shares from thirsty potential revellers. Contrary to the name, there’s no need to embark on a career in adult entertainment to enjoy this sweet, short drink of choice come Friday night on the town. In case you’re wondering, Pornstar Martinis get their great taste from vanilla pods, but if you’re not up for fermenting your spirits for weeks in advance, you could probably replace fresh pods with some nice flavoured vodka from the corner shop. As for the rest of the drink, the fruity flavours comes from passion fruit puree, orange juice, prosecco (or champagne) and a whole load of ice. If you’re not feeling so ‘adult’, you can even turn your Pornstar Martinis into slushies. It seems after the gin-soaked months of past, vodka – and subsequently the Pornstar Martini tree – is having a bit of a resurgence. You might say they’ve knocked the gin baubles right off their branches. Apparently, gin and tonic drinkers are more likely to be psychopaths ?? So much so, vodka got crafty and artisan with none other than vodka ice cream. It's time for cookies! Why not treat yourself with a cookie sundae! | Ingredients: Arctic Buzz ice cream in any flavor, freshly baked cookies, whipped cream and chocolate sauce . If that’s not enough to get your stomach rumbling, the guys from the Baltimore-based company say they ‘work closely with a local distillery to create artisan flavours’ – but freezing vodka is impossible? The 100ml tubs come filled first with deliciousness – we assume – and between 8.6-8.9 per cent alcohol by volume, which is enough to get your tongue tingling. Other flavours currently available include coconut, raspberry, chocolate and vanilla, which means almost every taste is catered for – with that little extra buzz of which the company seem so proud. 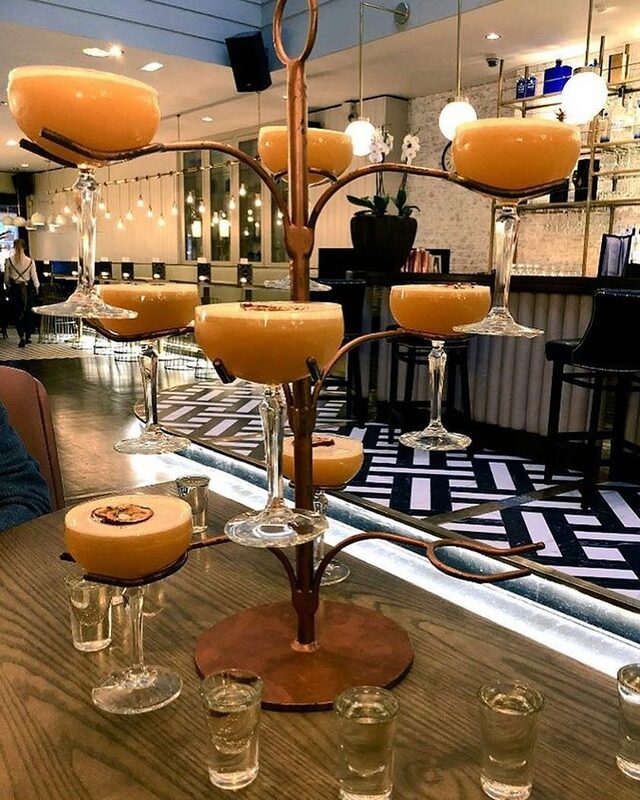 But at least you can drown your ice cream-lacking sorrows with a Pornstar Martini tree at The Living Room in sunny Manchester. Right?